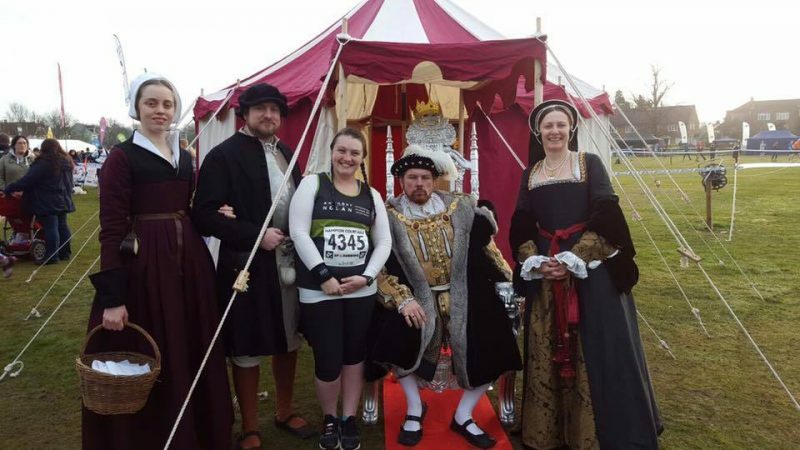 On Sunday, our alarm went off at half past 6, and that meant it was time to don my running gear and tackle the Hampton Court Half Marathon. My last ‘long’ run was a total of 9.1miles, this was a whole 4 miles longer and I had started to doubt myself. Was I tackling this too early in my training? Had I gone mad? Yes, I had gone mad, but the draw of having Henry VI there was too much for me to shy away and not run it. But for a half marathon, it was a nice run; majority flat, nice views and lovely people supporting you when times got tough. I’m a slow runner at the best of times so I ran around a 12.5 minute mile on average. I did managed to beat my 5k record by 3 minutes, and I knocked just over 10 minutes off my previous 9 mile run. I had aimed to get to 10 miles in 2 hours, but this was a little too adventurous for me, and I reached the 5 mile marker at 02:05, so I wasn’t going to punish myself for that. I’m not going to be all noble and say I ran it all, that’d be a huge lie; I struggled, I hit a wall and I had to fight back tears. There were times when I doubted I’d get round in under three hours and then the panic set in that I might not get a medal. I was willing away the miles until I could see Mike again at mile 10 and have him tell me I was doing well. The course was majority flat, which was perfect for a novice runner like myself and even better for those going for a personal best. The first mile or two are through residential roads, then the rest was a mix of the local village town centre and paths along the river. So the whole route had plenty to look at as I like to keep myself distracted when running so I don’t think about what I’m actually doing! Mile 10 was past Hampton Court and I LOVED this mile the most; I got to jog past my most favourite historical building and Mike was there to give me a little pep talk to keep me going for those final 3 miles. I struggled so much with the final mile; I was tired, I was hungry, and despite knowing I could finish easy under 3 hours, I wasn’t going to beat my personal best. I tried my best to power through, and then a lovely woman turns to me and says ‘You’ve got so far, You’ve done so well, just keep going, you can see the finish line from here.’ and for me those few words made a whole world of a difference. I looked up, spotted the finish line and ran as fast as I could to get this over and done with. A slight sprint finish has become a bit of a trademark of mine over the years I’ve attempted running so I had to keep that up! Crossing the finish line was such a sense of relief, I looked down at my watch. 02:42:42, a mere 58 seconds off my personal best. I was angry. I was so close. I had my chip cut off, got my medal, goodie bag and t-shirt. I sat on the grass angry that I was so close. My phone went off, it was my official time; 02:42:40, that made it 56 seconds from my personal best. 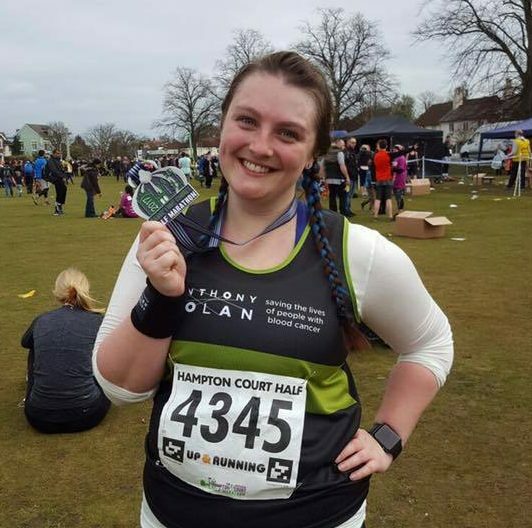 I was even more angry with myself, but then it hit me, I’d just ran a half marathon 18 minutes quicker than I thought I would and the personal best was trying to beat was at the 2015 London Marathon and I was 2 stone lighter, I should be super proud of myself. I shook off the angry feeling, and let myself feel proud. I called my parents and they were so proud. I chowed down on some of my goodie bag delights, headed back to our hotel and treated myself to a bubble bath. What a way to start a Sunday! 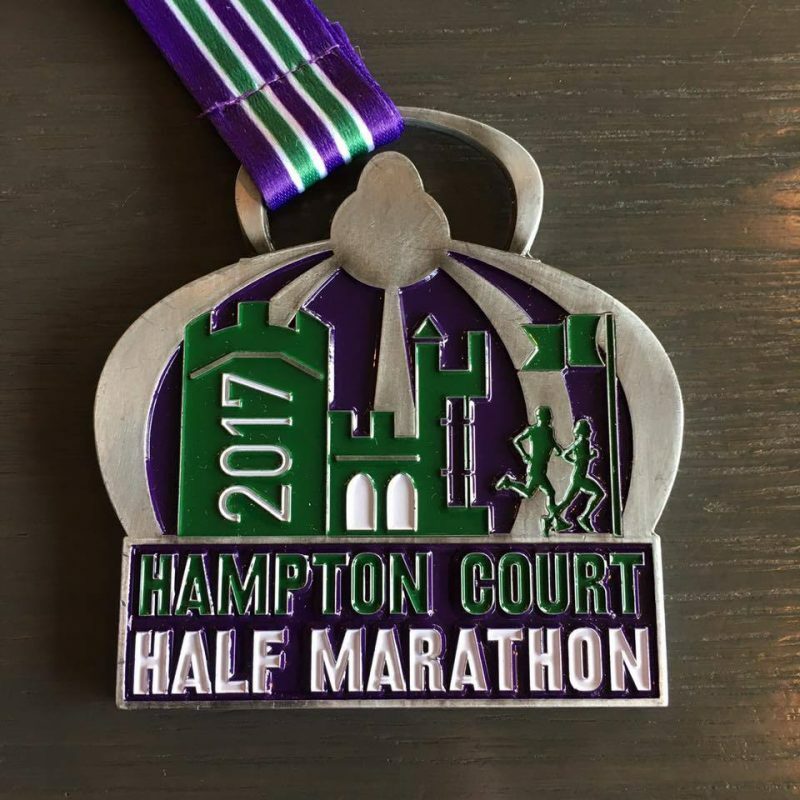 Have you ran any half marathons recently? BioScore – What Is It? "For the Love of Running!" "A Guide To Choosing The Perfect Wedding Ring *"